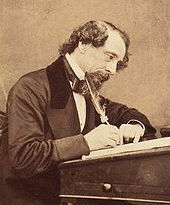 “I knew Dickens! And you, Curmudgeon are NO Charles Dickens! 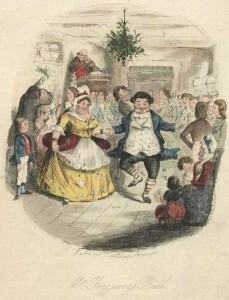 This article, The Ghost of Christmas Past, is the first in our Small Business Holiday Trilogy. 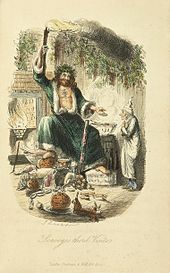 The Ghost of Christmas Past describes how and why the Small Business Truism came to be, and how Evil Forces successfully questioned its validity. Is small business our best new net job creator? In subsequent issues over the Christmas and New Years holidays we shall send out The Ghosts of the Small Business Present and Future which carry the research on Small Business job creation to the present day and into the future. Whether or not small business is the real job generator of the American economy is a question that probably doesn’t need an answer. It is a FACT. For most economic developers that small business is creates the most jobs is a fact not to be questioned. Everybody says it, from the President of the United States (known in journalistic circles as POTUS) to the taxi cab driver from whom you get your stock tips (the Curmudgeon drove a cab for two years in Boston area back in the 1960’s: he didn’t play the stock market, THEN); it simply must be true. Frankly in the Curmudgeon’s mind, there is simply nothing that can compete within economic development circles with the notion that small business is the way to create the most jobs and revitalize your community. Even the media and politicians believe it. Indeed, the Curmudgeon himself must admit – he believed it himself in his time when he was at the helm of an economic development agency. But, the Curmudgeon being the Curmudgeon, is the truism true? Where did this shibboleth come from? Is there any data to back it up? Is the data that exists based on job creation in the 1690’s? Worst of all worlds – is it partially true and partially false and therefore misleading? To help and guide the reader to answer these questions that for going on three decades has bedeviled academics, economists (are they two different things? ), economic developers and practically everyone else, we offer for your Christmas time reading (who are we kidding?) a Lord of the Rings-style Trilogy presented by the Dickensian-like three ghosts of small business job creation. This article is the first in the Small Business Trilogy, The Ghost of Truism’s Past, and it purports to both describe how and why the Small Business Truism came to be, and how Evil Forces questioned its validity–almost from Day One. In subsequent issues over the Christmas and New Years holidays we shall send out The Ghosts of the Small Business Truism Present and Future which carry the research on Small Business job creation to the present day and into the Future. Research since the 1980’s has linked small business as the single most important element in overall annual NET job creation in the American economy. But, this finding is controversial and has been consistently questioned in no small measure because the Truism is near impossible to measure and easily falls victim to serious methodological and statistical deficiencies. Scrooges abounded and they were right as often as they were wrong–and in their wake we were all confused. The methodological issues were, and are, complicated and the Truism’s deficiencies were exaggerated by inadequate databases which previous to 2000, or so, were not up to the task at hand. This problem would plague the Truism until the turn of the century. Well, we turn to David Birch, Job Creation in America: How our smallest companies put the most people to work, Free Press, New York. 1987, and with James Medoff, “Gazelles”, in Solomon and Levenson”s Labor, Employment Policy and Job Creation, Westview Press, Boulder, CO, 1994. To critique Dr. Birch we shall focus on a body of research centered around Steven J. Davis, John C. Haltiwanger, and Scott Schuh, especially, “Small Business and Job Creation: Dissecting the Myth and Reassessing the Facts”, Small Business Economics, Vol 8, 1996, pp. 297-315. In order to update and test both Birch and Davis, et al’s critique we will synopsized David Neumark (University of California, Irvine and California Public Policy Institute), Brandon Wall (Stanford University) and Junfu Zhang (Clark University and Institute for the Study of Labor (Bonn, Germany)) who, one dark and stormy night, apparently got together to write a research report which was published by NBER in December 2008. The review is entitled “Do Small Businesses Create More Jobs? New Evidence for the United States from the National Establishment Time Series“. Birch’s bottom line message was the book’s title, the smallest companies put the most people to work, and he was arguably the first to quantify and support that position. Birch’s research demonstrated that companies with fewer than 20 employees-create 98% of all net new jobs. Our approach is to use, when possible, the actual words of the authors (with page citation provided usually); we will take occasional liberties with the original wording to facilitate readability, but we pledge to do our best to be faithful to the author’s message. Usually, but not always, when the Curmudgeon wishes to distort, confuse and blather, he will place his ravings within brackets . When in doubt, if it sounds halfway intelligent, it will be a paraphrase of the original authors, otherwise, it’s the Curmudgeon. So let’s begin. Anyone that’s been involved in the economic development game longer than twenty-five minutes knows that the small business fixation started with David Birch who first published the idea in 1979 and then definitively proclaimed it in 1987 (Job Creation in America: How Our Smallest Companies Put the Most People to Work, Free Press, New York, 1987). Birch’s bottom line message was the book’s title, the smallest companies put the most people to work, and he was arguably the first to quantify and support that position. Birch’s earlier research demonstrated that “66% of all new jobs in the United States during the 1969-1976 period were created by firms with 20 or fewer employees, and 81.5% were created by firms with 100 or fewer employees.” (p.1) [The book jacket of the 1987 edition claims “that companies with fewer than 20 employees-create 98% of all net new jobs”]. This alleged importance of small business stood in marked contrast to the prevailing wisdom of the time which was typified in J.K. Galbraith’s New Industrial State. Galbraith indirectly argued, or at least implied, indeed Birch himself quotes Galbraith by saying that “this part [small business] of the economic system is not insignificant” … but Galbraith implies the reverse. Galbraith and others who think that big business is the American economy don’t seem to realize fully that the bubbly, yeasty, creative segment is the small businesses segment” (p. 8-9, Birch, 1987). Further, in his 1987 book, Birch calls attention to the ongoing switch from manufacturing to the services sector which Birch believed to be the principal growth sector of the then current American economy. Whatever the sector his data and analysis observed and demonstrated that these growth firms were predominately very small. “As we look through our microscope, we see economic growth being dominated by a relatively few highly innovative firms, most of which have started small and grew by creating a whole new way of making or doing something. We call them ‘high-innovation firms’ (p.4, Birch). 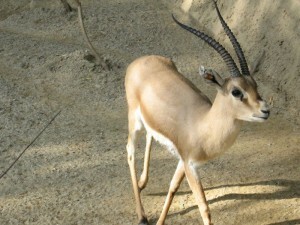 I”ve got a cat that looks more formidable than this gazelle! The “gazelles” article concluded that these gazelles (about 4% of all firms) created jobs at a rate far exceeding their proportion of total firms. As cited in a 2008 study by Acs, Parsons, and Tracy (High-Impact Firms: Gazelles Revisited) done for the SBA, (which we will describe in great detail in our Ghosts of Christmas Future issue) , Birch, Haggerty and Parsons (1995) “concluded that gazelles account for all new jobs in the whole economy.” (p.5, Acs, Parsons, and Tracy). Birch had moved on and size, as we all know, doesn’t really matter. In essence, Birch himself by 1995 had left his Truism behind and had moved on. In his 1987 book, cited above, Birch was quoted as proving that 82% “of employment growth via expansion and contraction” in the 1981-1985 period were by firms with less than 20 employees, and that 88.1% “of overall employment growth” were created by these firms (as cited on p.1 of Neumark et al-so forget about the bookjacket). These later authors inject this last bit of precision, the Curmudgeon suspects, because from it’s outset Birch’s numbers and his methodology came under also immediate attack. A literature was soon to develop over the next fifteen years which questioned both the Truism and the methodology on which it was based. Birch, having moved on, did not participate in his own defense. So how did we forge the Truism? Neumark et al observe (we are still on page one) that Birch’s central argument about the critical role of small business in job creation really dovetailed with “the U.S. government’s long tradition of supporting small business”. Pointing out that since the SBA was created in 1953 the Congress and the federal government consistently promoted and provided programmatic assistance to small business. “Birch’s findings fed into this thinking and quickly become conventional wisdom” (p.1) and ever since then Birch has been used by the federal government to justify a long string of loan programs, tax credits and incentives, favorable regulations, and support and assistance programs [such as a Curmudgeon fav, the Small Business Development (Counseling) Centers]. To this very day, the SBS’s Office of Advocacy “still trumpets Birch’s findings” (p.2) but, unfortunately for a quick and easy read on this topic, the Bureau of the Census entered the fray in an effort to prove or disprove the Truism that small firms created the most jobs. With its vast array of databases the Census Bureau added both sophistication and complexity into the equation of whether or not small business is indeed the greatest job creator in the American economy. The Truism had acquired a life of its own, and having been abandoned by its author, a new literature arose to critique, support, or disprove the Truism’s core principal that size of firm (small-less than 20 employees) was the key factor underlying net job growth in America. Scrooge-like, bah humbug, criticism of Birch was soon in coming. A couple of years after Job Creation in America, (1990 to be exact), a fellow, believe it or not, named Charles Brown (and James Hamilton and James Medoff) in Employers Large and Small (Harvard University Press, 1990) attacked the quality of the jobs which small business created. Comparing the small business jobs to those created by large firms, Brown et al found the former (small business) created rather lousy jobs, with less pay, less job stability, poor fringe benefits, inferior working conditions, less job training and exhibited higher turnover rates (p.2). This was a serious concern and it remains to this day “an important” concern but given that these concerns affected real people in their real lives it would not be of significant professional concern . The quality of small business jobs, however, is NOT Neumark et al’s primary focus. For Neumark et al, the core critique of Birch’s numbers and his methodology originated from two 1996 works by Steven J. Davis, John Haltiwanger, and Scott Schuh, “Small Business and Job Creation: Dissecting the Myth and Reassessing the Facts” (Small Business Economics, Vol 8, 1996). Davis’s analysis refutes much of Birch’s Truism, pointing out several important and potentially serious concerns principally with Birch’s database and methodology. It is these additional concerns which, if held to be substantially correct, would damage the Truism and the pivotal role of small business in job creation. The reader ought to keep in mind that Birch’s original study represented then and still remains the core defense of the small business job creation Truism to this day. If Birch’s study could be successfully questioned, we would be back to “square one”. The first bottom line problem with Birch’s methodology was that he classifies small business firms into size classes (i.e. less than twenty, twenty to fifty, etc) and then “examines the variation in job growth across the size classes”[which means a firm’s jobs in one year is contrasted to the same firm’s jobs in a second year, etc]. To Davis et al this size classification scheme is flawed and leads to a “regression fallacy” which, Curmudegon’s words, leads to an overestimation in the number of jobs created by small firms. (p.2) Subsequent research, cited by Neumark, suggests this has proven not to be a major concern with Birch’s work (p.5-6) but Neumark et al themselves will conduct research to assess the extent to which the regression fallacy does or does not exist. [Not to keep you in suspense, they conclude there is a regression fallacy and they will design a methodology to correct for it]. Other problems alleged to be part of the size classification approach to estimating small business job are that two types of firms “will accidentally fall into the smaller size category: firms that are not small but have just experienced a transitory negative shock to their employment …; and firms that are not small but are mistakenly classified as small due to random measurement [error from the D&B database]. Both types of firms allegedly will ‘grow’ fast from one year to the next only because [they will return to their former size] of regression to the mean (p.4). Using a different method of calculation, Davis et al believes removes the regression fallacy, Davis then analyzes firms in the manufacturing sector from the Longitudinal Research Database for the period 1973-1988. They conclude “that employment growth appears to have ‘no systematic relationship to average plant size'” (p.3). Size does not matter! Still, after all these refinements, adjustments, and sensitivity to data deficiencies, Neumark et al “find the NETS database, like all others, is not without its flaws, and has both advantages and limitations (p.10), but Neumark does believe the deficiencies associated with the earlier Birch data sets have been remedied quite well and in particular, NTES, constructed with more recent D&B data, has corrected the NTES and Census/BLS gap in number of firms so that issue “is not a serious concern”, and the capture criticism has been made “largely invalid” (p. 10). In studying the growth derived from size categories, Neumark take into account Davis’s incessant whining about the regression fallacy created by relying only on a single base year as the basis for determination that a firm is small. Neumark minimizes this error by calculating an “average size” of the firm throughout the time period under observation. The net effect of this adjustment is that a firm will be counted as “small” only if it stays small for at least two consecutive years. For each qualifying firm they calculate gross job creation and gross job destruction and subtract one from the other (I forget which they subtract from) and get, of all things, net job creation (which is their key measure)[All this took three pages in the Working Paper]. Using the base line figure alone as the basis for defining small firm and calculating growth rates, Neumark et all with raw data initially reach findings that conform pretty nicely with those of Birch. Firms with 0-20 employees average annual rate of job creation was 9%-10% and every other size classification recorded negative results [they lost jobs annually]. Firms with 1,000 or more workers had “rather large negative net job creation rates” (p.13) [So let’s stop while we are ahead]. Now comes the really painful part of this methodological run around the mulberry bush. [The reader can, at his or her option, take a second three minute break at this point. The Curmudgeon did]. Neumark now turns his attention to Davis et al and reviews his methodology. Anyway, back to establishments and Neumark’s findings. Using establishments instead of firms, Neumark reaches findings inconsistent with Davis (again, assuming you care). The rates of net job creation by firms less than twenty employees are 2.6%, compared to Davis’s 2.9% –and the findings for higher size classifications are correspondingly close to that derived from Davis. Using establishments, however, positive net job growth by firms less than 500 employees (which do not correspond to Birch) is also supported. The net net of firms versus establishments is that use of establishments mutes net job growth and it contradicts Davis’s conclusions that small firms do NOT create the highest rates of net job creation. Got it? Davis was wrong too–at least in part. Neumark et al, it must be confessed, are generous to Birch and the Truism in that they are reluctant to make a judgment as to whether the muted levels of annual net job creation by firms under twenty employees has been reduced to 2.9% from Birch’s finding that 66% of all new jobs created are by such firms. Instead, they correctly observe, “there appears to be a robust finding that small businesses do create more jobs” (p. 22) but they do also concede that “the base-year size definition used by Birch badly overestimates net job creation rates for small firms or establishment” (p. 22). Neumark also has meaningful negative observations for Davis by stating that “the relationship between establishment size and job creation is negative for the manufacturing sector” while also confirming that Davis’s fundamental point, that the regression fallacy existed with crippling effects on Birch’s thesis and findings. So both Birch and Davis were to some degree incorrect, if not wrong. And to some degree they were both right. What is Scrooge to make of that? Certainly, methodology matters in estimating net job creation and which size firms are the better engine of job creation. Secondly, yes, there is a fallacy of regression inherent in Birch and that is very damaging. Thirdly, Birch’s gazelle growth rates in firms less than twenty are reduced by 75% to somewhere less than 3% and more than 2.5% annually–far from barn burners, but, still, small, Tiny Tim, businesses do disproportionately create more jobs than large firms. They are large net job creators. Fourthly, large firms greater than 1,000 and establishments up to 500 employees can create positive net new jobs. We can’t ignore them. Firms of all sizes above twenty employees create jobs, just not as many as all the small, Tiny Tim firms combined. Birch is not exactly refuted, but his great generators of job growth are reduced to a kind of bah humbug pace. Everybody was right and wrong — and the Truism, if you think about it, is the big loser. It remains true, but to what extent, and why, and who exactly. Birch is not exactly refuted, but his great generators of job growth are reduced to a kind of bah humbug pace. Everybody was right and wrong — and the Truism, if you think about it, is the big loser. It remains true, but to what extent, and why, and who exactly. No community is going to turn around very quickly with that kind of job growth created by firms less than twenty employees. It turns out that the Truism was constructed with a rather unsubstantial foundation which can support only a fairly modest structure. Size of firm, in itself, is not what creates new net jobs in sufficient quantity to revitalize or drive an economy. So does the Truism collapse under the weight of too grandoise expectations? Unlikely, there are still too many jobs involved, too many entrepreneurs, too much symbolism and metaphor, and a self-perpetuating professional industry built around supporting and enhancing small business well-being. The Truism is not going anywhere — but should economic developers look elsewhere if they want new net job creation? Yes Virginia, there is a Santa Claus, but he doesn’t leave many presents under the Christmas tree! The Grinch, it turns out, also leaves his fair share. So whose lap should Scrooge sit on next year if he wants more annual job creation? Where is the Ghost of Small Business Job Creation Present? “He will arrive promptly before Christmas morning”!